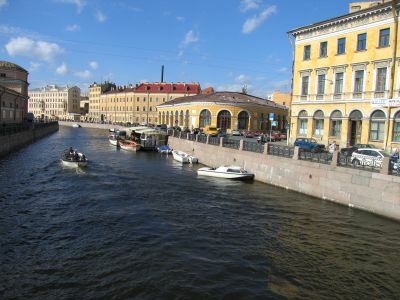 after returning to helsinki, i boarded a train to russia, bound for st. petersburg. 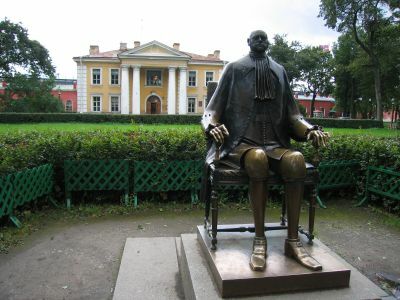 here is a bizarre bronze statue of peter the great, the csar who built st. petersburg, at the peter and paul fortress. 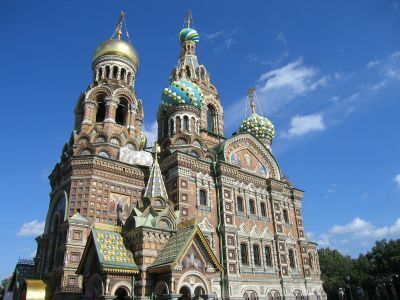 the church on spilled blood in st. petersburg, so called because the csar alexander the second was assassinated in the square that the church now occupies. the church was built as a remembrance of the event. the first time i saw this church was when i came around a corner while walking home from the hermitage. my jaw dropped to the ground. 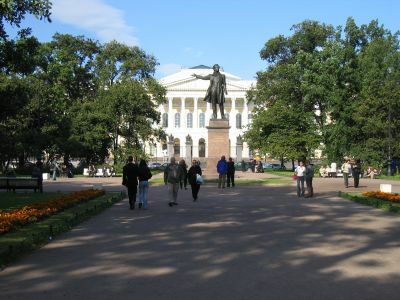 here we have the hermitage in st. pete, one of the most famous, and rightly so, museums in the world. there are over 3 million pieces of art in here, only 10% of which is on display at any given time. 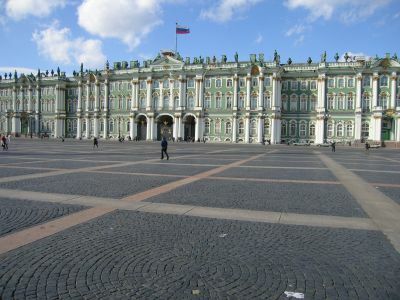 catherine the great built the collection while she used the hermitage as a palace - she hid away in here by herself, like a hermit - thus, the hermitage. 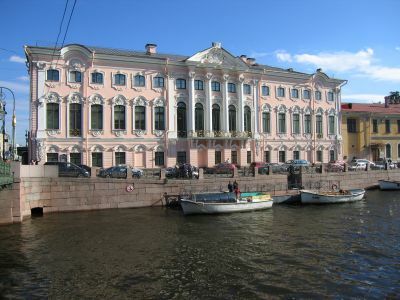 the admiralty, which was once the headquarters of the russian navy but is now a naval college. looks sorta like a typical state capitol in the united states. st. petersburg. 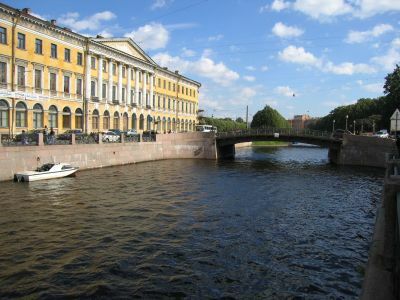 everywhere in st. petersburg the canals are lined with magnificent buildings. the csars built up this city to impress the europeans, as russia's "window to the west." 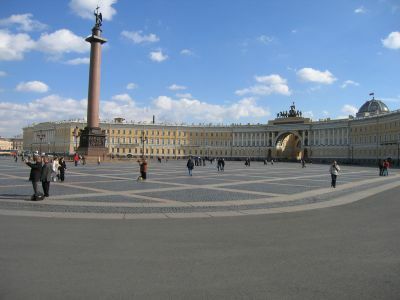 the dvortsovaya square in front of the hermitage. a pink palace along the canal in st. pete. 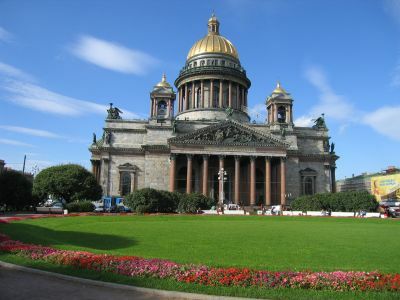 for 200 years, st. petersburg was the capital of russia. since csars were often getting knocked off after just a few years, paul, for instance was assassinated 4 years, 4 months, and 4 days into his reign, and all built their own palaces so there is one on basically every corner.